If you’re in the market to sell your existing home, or buy a new home, come join the party! It’s a crazy time out here. Sellers are finding they’re getting multiple offers for their homes throughout the greater Nashville area, buyers are learning they have to make their buying choices quickly and decisively, and investors are chasing what few bargains there are out there. 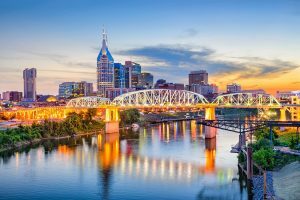 Nashville continues to be a hot market for residential real estate, and our area’s fast-growing population is hitting a wall of limited housing supply. That means prices are higher and buyers are scrambling. Let’s take a look back: Nashville’s housing costs are today 46 percent greater than during our pre-recession peak in 2007. We are still among the 10 fastest-growing housing markets in the country. People who hadn’t thought of selling are considering it today, because of the hot market. Many are asking how long we can “grow” on like this? We know that the markets always correct themselves, but it’s not clear when that will happen for middle Tennessee. As our local economy continues to grow, we’re attracting more new residents who are finding jobs, buying homes and settling here to live and raise their families. Our region is highly affordable, especially compared with other parts of the country, with no state income tax, business-friendly tax structure and central location. We’re on the way to just about everywhere in terms of population centers. We have nearly a dozen Fortune 500 company offices, a thriving healthcare sector, a solid base of institutions for higher education, the automotive industry, technology and publishing. 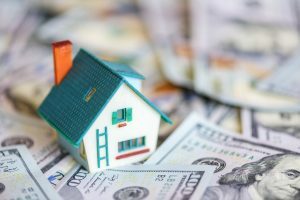 Mid-year reports from the National Association of Realtors project a continued rise in housing costs in hot markets, up to around 5 percent more through 2019. Homes are still selling like crazy, and we look for more of the same for the next coming months. If you’re ready to sell, it’s a great time to do so. If you’re looking to buy, you’ll need a comprehensive strategy to find and actually get under contract the home you want. The Matt Ward Group is here to help you. Feel free to use our exclusive Real Estate search, but don’t hesitate to contact us if you’re looking for more information about the real estate market here. We’re committed to service. We’ll help you navigate a rapidly changing marketplace, so please give us a call.